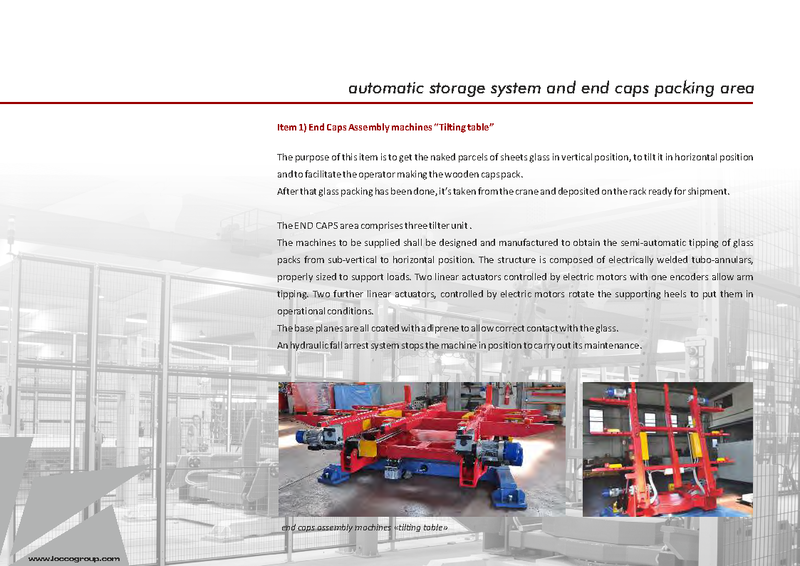 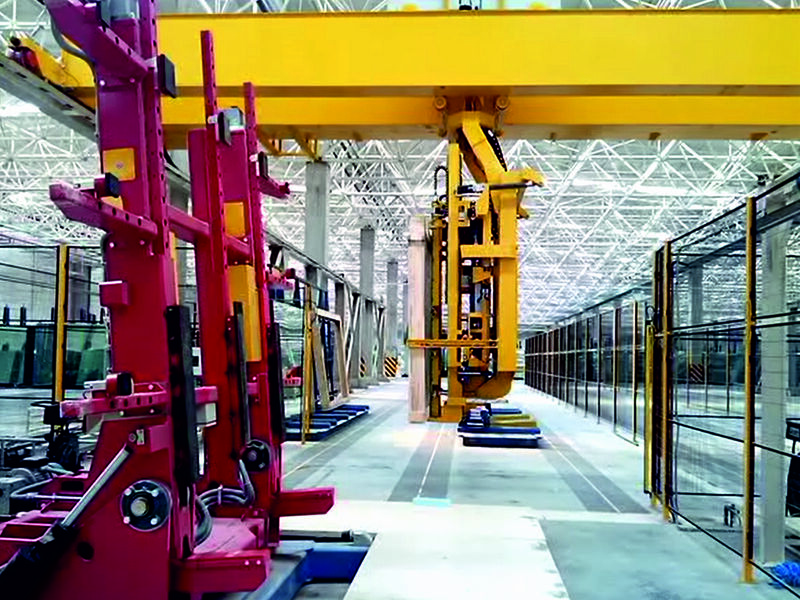 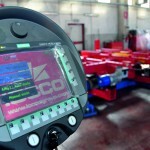 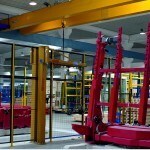 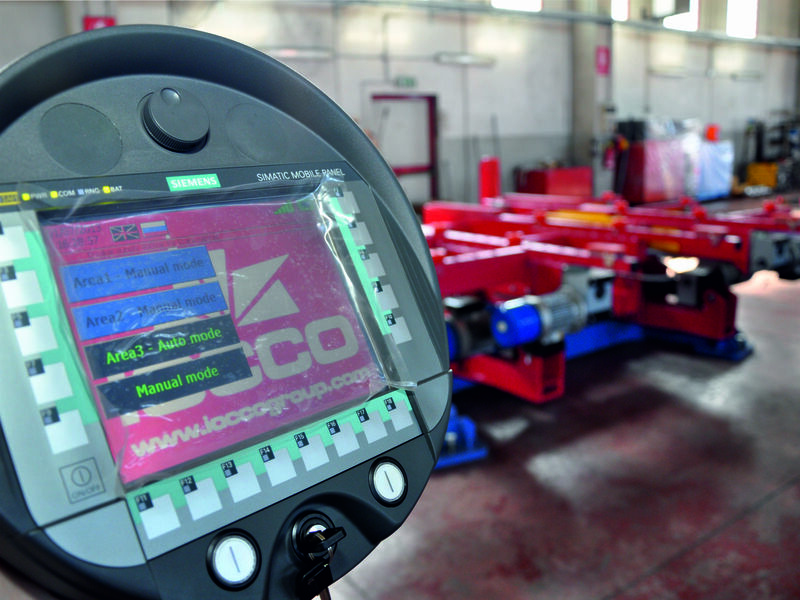 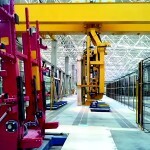 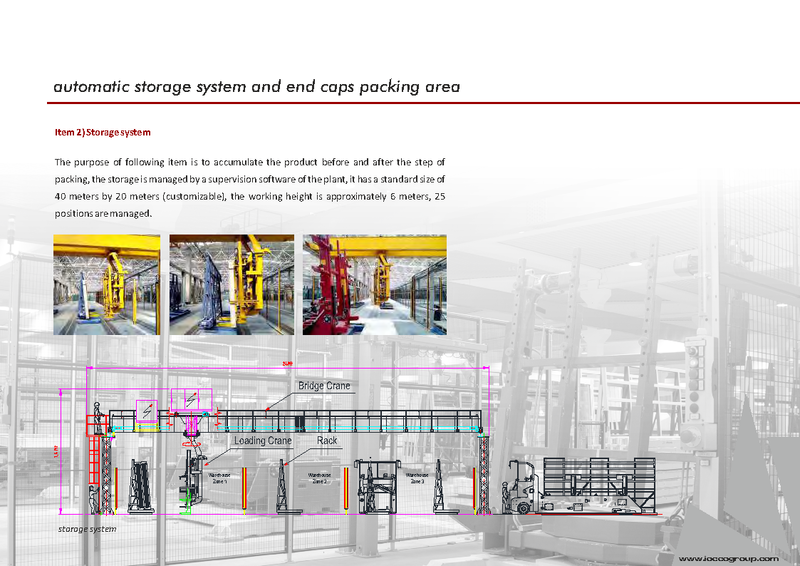 IOCCO has recently developed an innovative automatic system to storage and manage glass packs, increasing warehousing yield, minimizing risks of injuries for operators and decreasing warehousing costs consequently.The Automatic Storage system is enhanced by the tilting table assembly machine to apply the wooden caps to glass packs. 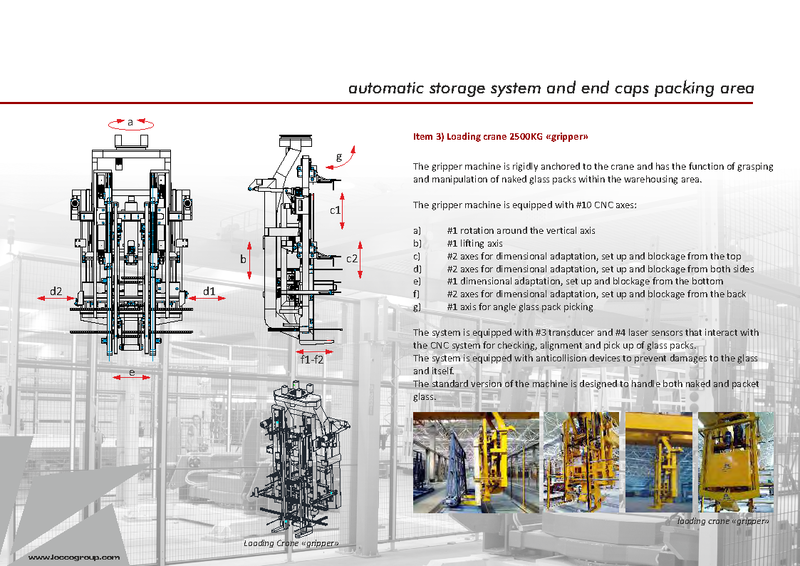 The scope of the system is to manage automatically the naked packs of glass coming from the float cutting line and deposited on rack. 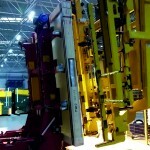 The operator is therefore facilitated to apply the wooden caps to the glass pack that will subsequently be deposited on the rack, ready for shipping. 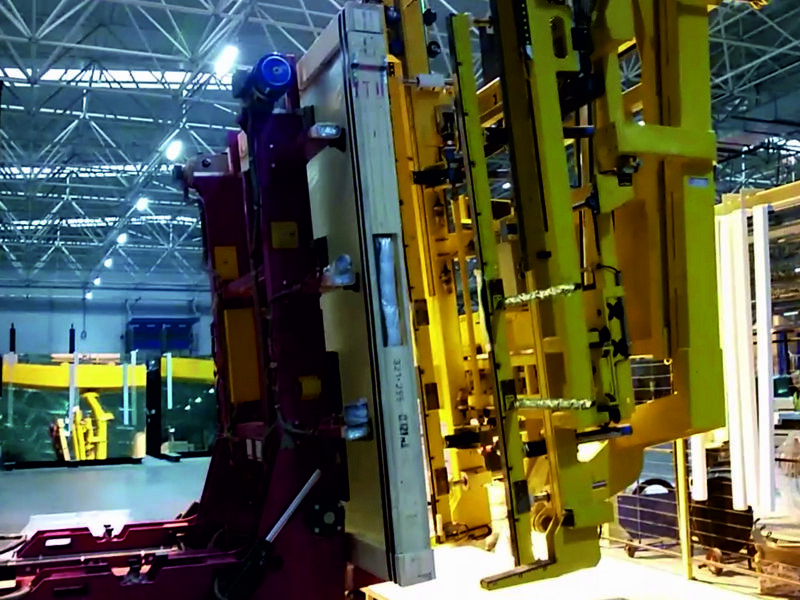 Three tilting machines perform the semi-automatic tipping of glass packs from sub-vertical to horizontal position, allowing the operator to apply the wooden caps. 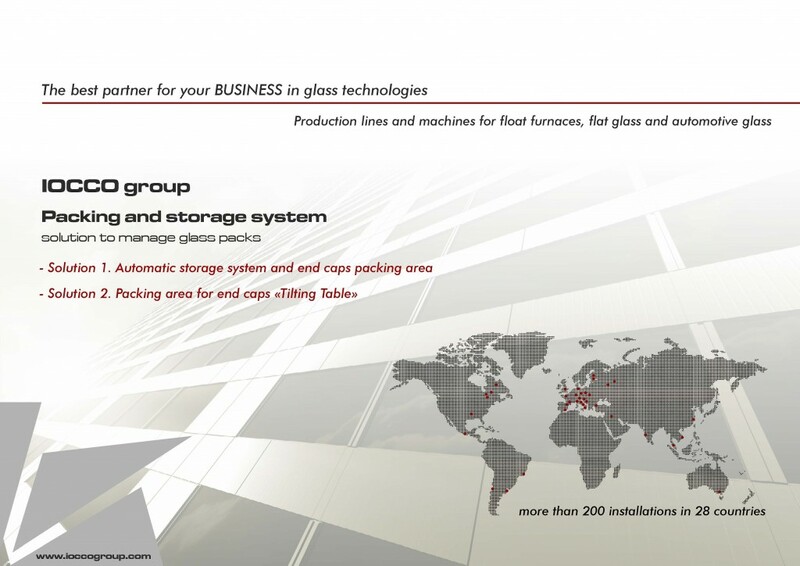 The storage system is managed by the supervision software and allows the accumulation of glass packs before and after the wooden packing. 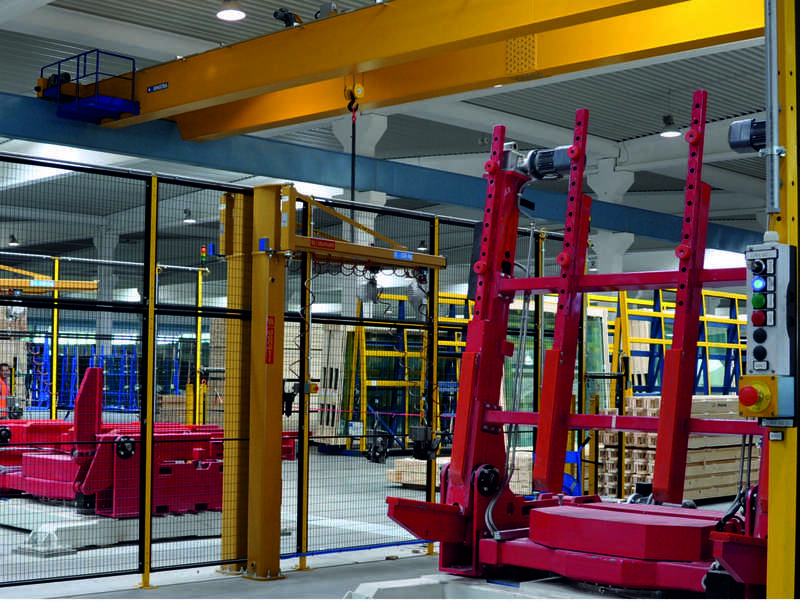 The Loading crane with gripper is able to grasp and manipulate a load of 2500 kilos and supports translation in ten CNC axes.